Team India, the No. 1 ranked Test team, flattered to deceive yet again. They lost yet another overseas Test series. The visitors lost the fourth Test against England by 40 runs. 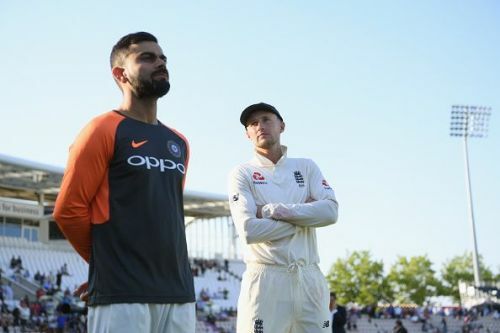 While so many familiar internal weaknesses of the Indian team was the main reason behind this defeat, some external factors in the form of toss, selection, and performance of the incoming players in the England team also played a significant role in this defeat. For the fourth time in the series, Kohli had called heads at the toss and for the fourth time, he had lost the toss. This had a serious impact on the outcome of the match. Though the conditions on the first day of the Test were more English like, on the subsequent days the wicket had eased out into a true dry sub-continental wicket. 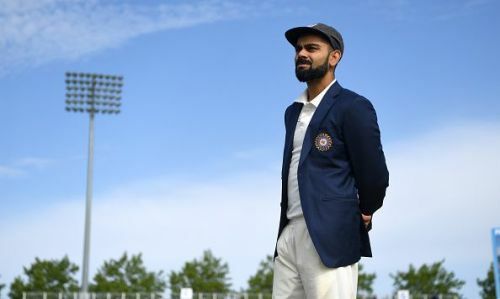 Had India batted first in those familiar conditions, they would have done much better and the toss had once again proved to be crucial for a visiting team to compete on equal terms with the home team. Whatever little chance India had of leveling the series, was blown away at the toss. The injury to Chris Woakes just before the fourth Test was a blessing in disguise for England. Due to that injury, Sam Curran was brought back into the England team. To be fair to Curran, he should not have been dropped for the third Test in the first place after his scintillating performances in the first two Tests. Curran celebrated his return to the team in grand style. He first made his presence felt as a batsman. On the first morning, England were seriously struggling at 86 for 6 when he had arrived at the wicket. His 81 run partnership with Moeen Ali for the 7th wicket lifted the spirit of his team. Later, he had a 63 runs partnership with Broad which lifted his team's first innings total to 246. Sam Curran made 78 and was the last man out. In India’s first innings, at one stage, they were comfortably placed at 143 for 2 with Pujara and Kohli at the wicket. It looked like India were poised for a substantial total in the first innings. But at that crucial stage of the match, Sam Curran took the all-important wicket of Kohli. It was a different ball game for India thereafter. 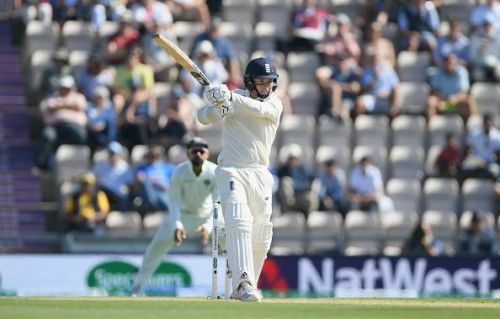 In England’s second innings too, Sam Curran contributed with a valuable 46 which dragged the fourth innings target out of India’s reach. He ended up scoring a total of 124 runs in the match which was just 13 runs short of Pujara. Fittingly for England, Sam Curran finished off the Test match by dismissing Ashwin in the second innings. Moeen Ali perhaps has been the most successful contemporary off-spinner against the current Indian batsmen. Ali got back into the England team on the back of his century in the county match. He was basically selected as a specialist batsman and the second spinner in the team after Adil Rashid. In England’s first innings, when England were in dire straits, Moeen Ali scored crucial 40 runs. Again, when India were batting in the first innings, Ali took 5 of the last 6 wickets to fall. Due to his unexpected bowling performance, India slipped from 181 for 4 to 195 for 8. Thankfully for England, Ali came to the party just when the England fast bowlers were rendered ineffective by the slowness of the wicket. 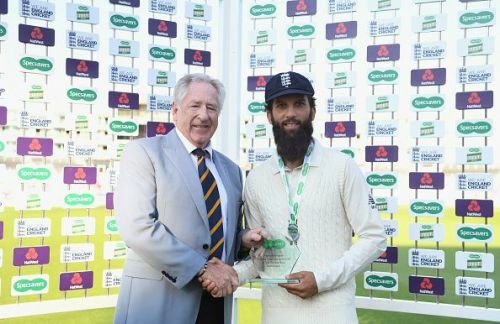 Moeen Ali, the chosen second spinner of England, was able to precisely land almost 30% of his deliveries right on the rough for the right-handed batsmen. In India’s second innings, Kohli and Rahane were involved in a century partnership and at one stage the target of 245 looked like very much achievable. Enter Moeen Ali, the bowler, and he took the wickets of the well set Kohli and Rahane and that was it for Team India. Moeen Ali’s 9 wickets in the match was the difference between the two teams.